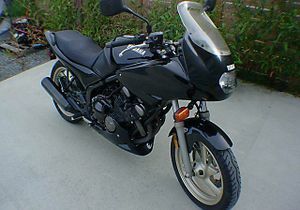 The Yamaha Diversion series of motorcycles are all-round touring motorcycles, and descent from Yamaha's earlier XJ series. All Diversion models are fitted with a four-stroke air-cooled 8-valve inline-four engine. 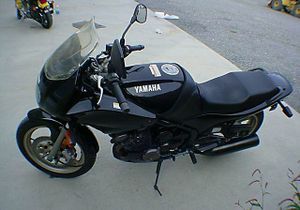 The Yamaha Diversion series consists of three models: the XJ600S, the XJ600N, and the XJ900S. The XJ600S is known as the Diversion in most parts of the world, and as Seca II in the US market. 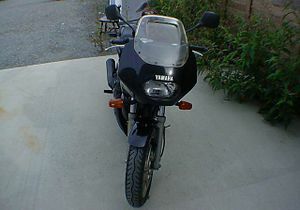 The bike has a small top fairing, although a lower fairing is available as an accessory. 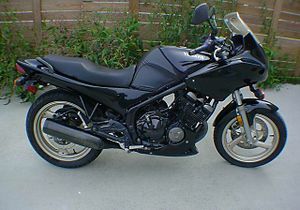 The XJ600S is a descendant of the earlier Yamaha XJ600 model that were manufactured 1984-1991. The bike is fitted with a 598cc, air-cooled 8-valve inline-four engine giving 61HP / 55Nm output. 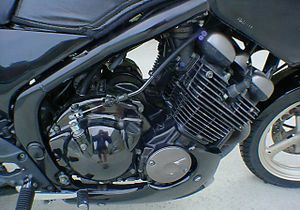 The engine was tuned from the original XJ600 model towards improved low- and midrange power, sacrificing some of the peak power in the process. The Diversion/Seca II models were manufactured in 1992-2003. As the Diversion/Seca II design is based on an earlier well-matured bike model, changes made to the bike during these years were rather subtle, mostly concerning improvements in fairing, a second front brake disc and small oil cooler appearing in 1996 model plus improvements in carburetors. The bike is considered to be an affordable entry-level bike that can give plenty of fun for its price. 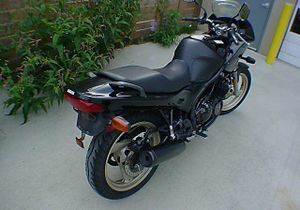 The XJ600N is almost identical to the XJ600S, except that it is a naked bike. The XJ900S is known as Diversion 900 on the European market, but was never sold in the Americas. 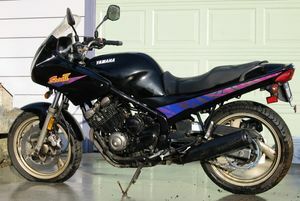 The XJ900S is a descendant of the earlier Yamaha XJ900 model. The bike is fitted with a 892cc, air-cooled 8-valve inline-four engine giving 89HP / 85Nm output. The Diversion 900 bike is a highly affordable sports/touring machine with more than enough power to make it a sensible commuter machine but also great fun to ride on less mundane journeys. Like the XJ600S, the XJ900S has a small top fairing.